In a first for the field, NYSCF scientists with Columbia University's Naomi Berrie Diabetes Center researchers have generated patient-specific beta cells, or insulin-producing cells, that accurately reflect a genetic form of diabetes known as maturity onset diabetes of the young (MODY). This incurable disease, caused by a genetic mutation, is characterized by reduced insulin response to sugar, leading to chronic elevated blood sugar levels and increased risk of vascular complications. 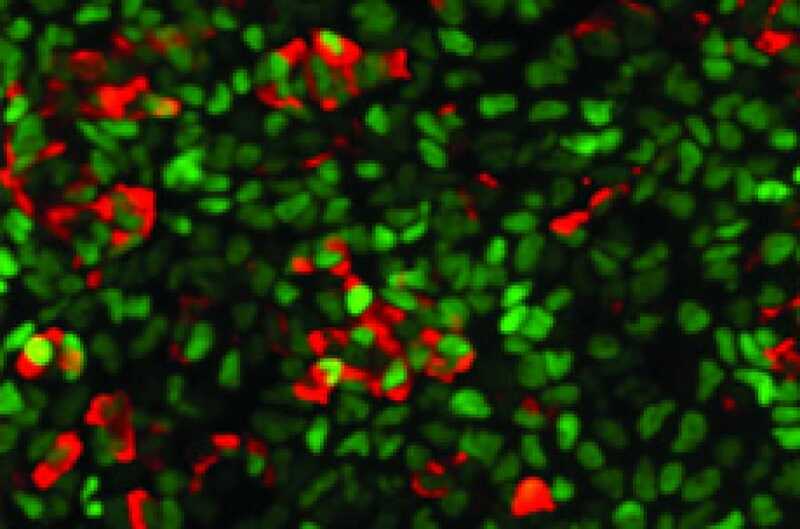 Through advanced stem cell techniques, the NYSCF scientists took MODY patients’ skin cells and “differentiated”—or reverted—these cells into an embryonic like state. They then corrected the responsible mutation and artificially controlled the maturation of these cells into beta cells progenitors. As a necessary proof-of-concept, they transplanted these stem cell-derived beta cells into mice, which restored insulin levels to those seen in healthy patients. This promising strategy, published in the Journal of Clinical Investigation, may inform therapies for other types of diabetes.